Using ground motions recorded from a M4.1 event at the NEES@UCSB Garner Valley field site, Amit Chourasia of the San Diego Supercomputer Center generated animations of the ground motion response in the soil column. These are the first animations produced showing site amplifica- tion that use real earthquake data recorded in the soil column. Videos and interactive animations allow users to investigate the amplification of ac- celerations, velocities, and displacements in soil layers of various stiffnesses down to a depth of 150 meters. All students of geophysics, seismology, and earthquake engineering understand that surface materials amplify the signal of earthquakes at individual sites. Since understanding and designing for site response is an important earthquake engineering challenge, these animations are an invaluable teaching tool for geophysics, seismology, and earthquake engineering. They will also be very important for demonstrating site effects to the general public. Understanding site effects helps the general public understand the principles of earthquake-resistant design. While people have heard that Los Angeles is a “bowl of jelly” when it comes to earthquakes, many don’t necessarily understand why this is true. These animations show that soft sediments resting on bedrock amplify earthquake signals that reach the ground surface. The animations, generated from data found on the NEES @ UCSB website http://www.nees.ucsb.edu/facilities/gvda and in the NEEShub Project Warehouse https://nees.org/warehouse/project/690, can be downloaded from http://visservices.sdsc.edu/projects/nees-ucsb/. 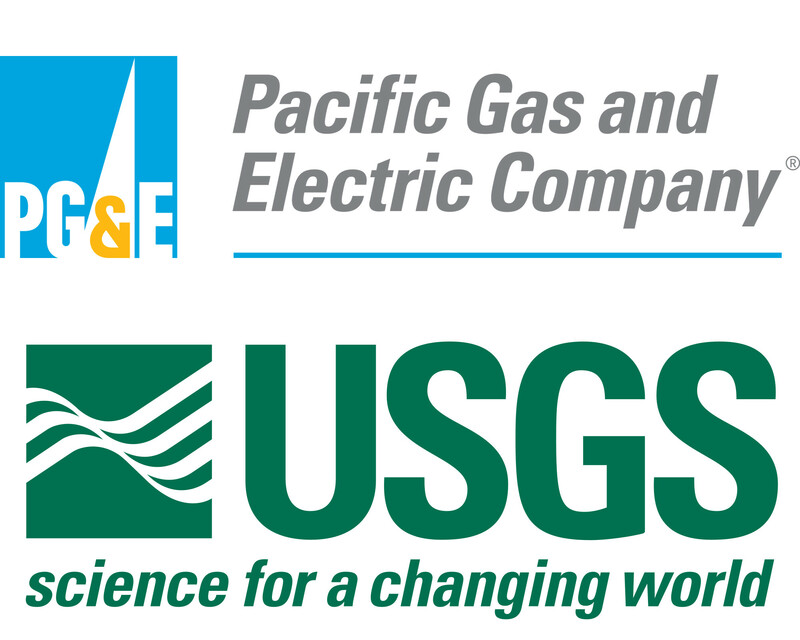 ​The UCSB Geotechnical Array monitoring program is jointly funded by Pacific Gas & Electric Company and the United States Geological Survey. This site previously funded 2015 to 2017 by the NRC Contract#NRC-HQ-60-15-C-000, project title "Observations and Analysis of Geotechnical Data". And 2004 to 2014 by the Geoge E. Brown, Jr. Network for Earthquake Engineering Simulation (NEES) Program of the National Earthquake Hazards Reduction Program (NEHRP) of the National Science Foundation (NSF) under Award# CMMI-0927178.